Peril at End House is a work of detective fiction by Agatha Christie and first published in the US by the Dodd, Mead and Company in February 1932 and in the UK by the Collins Crime Club in March of the same year. The US edition retailed at $2.00 and the UK edition at seven shillings and sixpence (7/6). 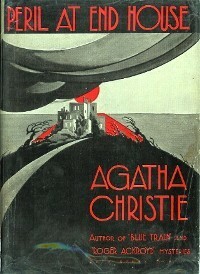 The book features her famous character Hercule Poirot, as well as Arthur Hastings and Chief Inspector Japp and was the seventh book featuring Poirot.